The success story of HATS OFF PRODUCTIONS has its roots in the theaterical production of commercial Gujarati Plays. Its crowning achievements are the result of persistent efforts of the two leading men at its helm Mr. Jamnadas Majethia, (JD) a well known actor-producer and Mr. Aatish Kapadia, a gifted writer-director. Their personal bond from college days and their united passion to make a mark in the entertainment industry led to the setting up of HATS OFF PRODUCTIONS. In the beginning they produced original Gujarati plays 'Ladakvaya' 'Thank you Kokila', 'Ek Bijane Gamta Rahiye' and 'Aavjo Vhala Fari Malishu', under the banner of HATS OFF PRODUCTIONS. All the plays were received warmly by theatre enthusiasts. The excellent production superb screenplay & direction combined with sterling performances delighted the audiences and at the same time, conveyed a message that touched their hearts. Last 3 plays created a unique record in the 150 years old history of Gujarati theatre. The only production house to achieve a HATTRIC of double century hit original plays. The last play namely 'Aavjo Vahla Fari Malishu' was adapted into a hugely successful feature film in Hindi called 'Waqt' which had the millennium superstar Shree Amithabh Bachachan and the current heartthrob Mr. Akshay Kumar. HATS OFF PRODUCTIONS then shifted its focus to television serials with the aim of expanding its horizons and achieving its vision of becoming a global entertainment enterprise. Since then the team of HATS OFF PRODUCTIONS has devoted itself to the development of TV Serials, beginning with the co-production of the Hindi daily soap 'Babul Ki Duwayein Leti Ja' for Zee TV. The journey, which has started from there, is progressing rapidly in terms of actions as well as achievements. Under the able guidance of the visionary duo heading it,HATS OFF PRODUCTIONS aim to be among the most prominent production houses in India. JD, the founder of HATS OFF PRODUCTIONS, is a well-known producer and a brilliant actor. 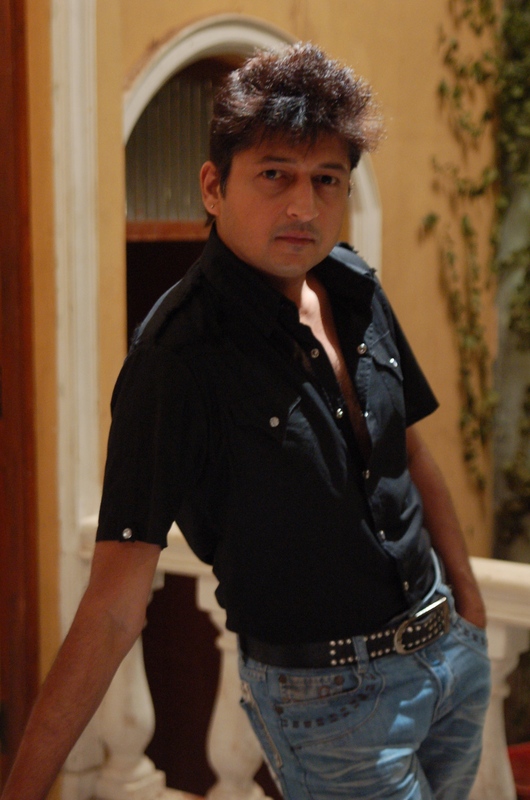 In 15 year of his acting career he has played in amazing range of roles in theatre plays, serials and films. He has also produced plays and TV serials. Prior to establishing HATS OFF PRODUCTIONS, he gained some experience of the media by working as a Marking Executive with Mudra Communications, handling sponsored programmes for Mudra Videotech. His career in media began as a theatre actor leading to modeling and serials and then films. He has won more than 20 awards for acting in inter-collegiate drama competitions. He is also the recipient of the prestigious Gujarat State Award for his role in the path breaking Gujarati film 'Darya Chhoru'. A creative producer who works on story, concept character and all other creative aspect with the writers and directors. As a producer, JD has worked continuously for the enhancement of HATS OFF PRODUCTIONS and desires to produce a multitude of TV serials for various channels in future. He also envisions a foray into films for HATS OFF PRODUCTIONS and plans to tap Bollywood completely. Acted in many Gujarati plays, a few Gujarati serials and five Gujarati films. Acted in Hindi serials like Chanakya, Ek Mahal Ho Sapno Ka, Kari shma Ka Karishma and Khichdi. Produced Gujarati plays namely 'Ladakvaya' (90 Shows), 'Thank You Kokila' (225 shows), 'Ek Bijane Gamta Rahiye' (275 shows), and 'Aavjo Vhala Fari Malishu' (240 shows). Currently HATS OFF PRODUCTIONS PVT LIMITED produces Hindi serials, "Shree" a supernatural love story which is on ZEE TV every Monday to Thursday at 10.30pm. HATS OFF PRODUCTIONS PVT LTD has also produced the popular comedy serial 'Khichdi', 'Sarabhai v/s Sarabhai', 'Instant Khichdi'' and a family drama 'Resham Dankh', for Star One which is in top four in ratings. Also produced "Kudkudiya House No 43" (previously Batliwalla House No 43) for Sony TV and 41 episodes "Main Office Tere Aangan Ki" for Sahara Manoranjan (Sahara Tv) which was a no.1 weekly show of the channel. 'Remote Control' a comic middle class family drama for 9X, weekly serial 'Ek Packet Umeed' for NDTV Imagine which had a social message and won the Telly Award 2008 in the best weekly program category. Also produced "Baa Bahoo Aur Baby" very popular an emotional family drama for Star Plus and "Jasuben Jayantilal Joshi Ki Joint Family" and "Bhurey Bhi Him Bhaley Bhi Hum"also an emotional light hearted family drama which were telecast on NDTV Imagine. and Star Plus respectively ..
Another 2 projects is slated to start early and a few more projects are in the pipeline. JD has graduated in commerce and completed a Master in Management Studies from the Mumbai University . Aatish Kapadia, a prolific writer, has written some of the most innovative stage play, TV serial stores / concepts and mainstream Hindi films. He is considered one of the most promising among the current generation of writer-directors. He is a partner in HATS OFF PRODUCTIONS. 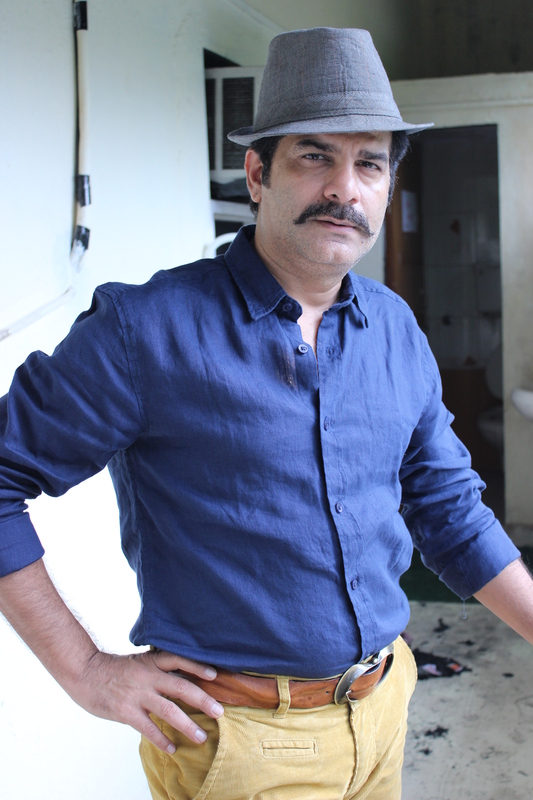 His unique blend of suspense and emotions has been highly successful in captivating his audiences and his unconventional style of comedy has been hailed as path breaking both in plays and TV serials. A director par excellence, his touch transforms the ordinary into the enchanting and leaves his audiences spellbound . His progress over the years is only the proof of his potential to take his craft to further heights and delight his fans. His first play as a writer with a completely new team performed over 200 shows, which is a record. "Aankhen" is the Hindi film acted by Amitabah Bacchhan, Akshay Kumar, Paresh Rawal and others which was based on this play. Aankhen was the only Hindi film, which is sought by a Hollywood to make a English film. A unique play about the joint family system, a great message giving play, did over 90 shows. This was his first directorial venture also. A musical comedy with the same team of "ANDHALOPATO", another rare subject on stage did 150 shows. Presently going on with over whelming response all over has already done 125 shows in 6 months and has got "SARITA JOSHI" a great actress of Gujarati theater playing the lead role, he has also directed the play. 5. "EK BIJANE GAMTA RAHIYE"
A middle Aged Love story. This team performed 275 Shows in India and Abroad. 6. "AAVJO VHALA FARI MALISHU"
A Comedy play based on 'Father and Son relationship' . It was a mega hit and Performed more than 225 Shows. This is the second play of Hats Off Productions being made into a Film called 'Waqt' The race against Time. film acted by Amitabah Bacchhan, Akshay Kumar, Priyanka Chopra . 'EK PACKET UMEED' - 33 EPISODES (Weekly Show with a social message on NDTV Imagine) . He has Written story and screenplay for the Aamir Khan and Manisha Koirala starrer film 'MANN', Produced by Mr. Ashok Thakaria.